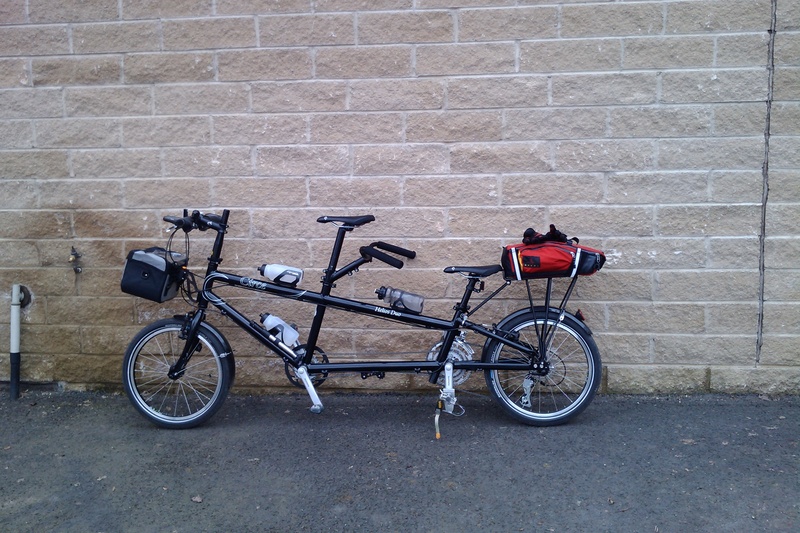 Circe Helios Tandem (20 inch wheels). Ridden by myself and Primo, who bonked about 20 minutes after this shot was taken and had to be force-fed mini donuts. Longest ride together about 40 km including the longest continuous road climb in England which runs from Mytholmroyd (try spelling that when you are drunk) through Cragg Vale to Blackstone Edge Reservoir. 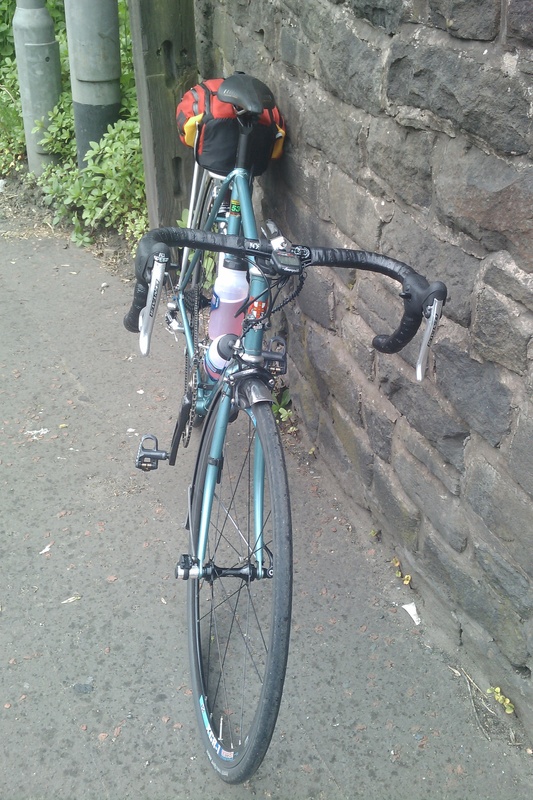 Daniel Salmon 653 road bike, with fluted tubes and incredibly short wheelbase. Equipped with some period Mavic SSC parts, but with modern brakes and sturdy Aksium wheels for those Yorkshire descents and potholes. 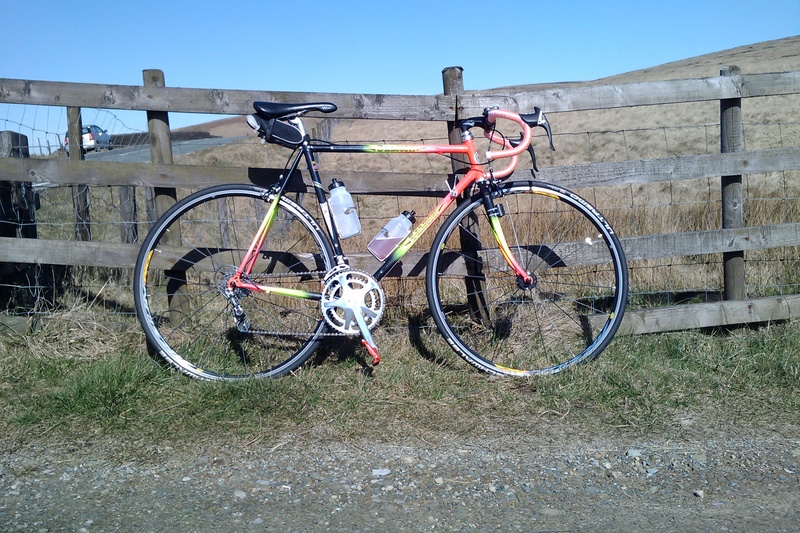 Picture taken on top of Saddleworth moor, after climbing under the M62. 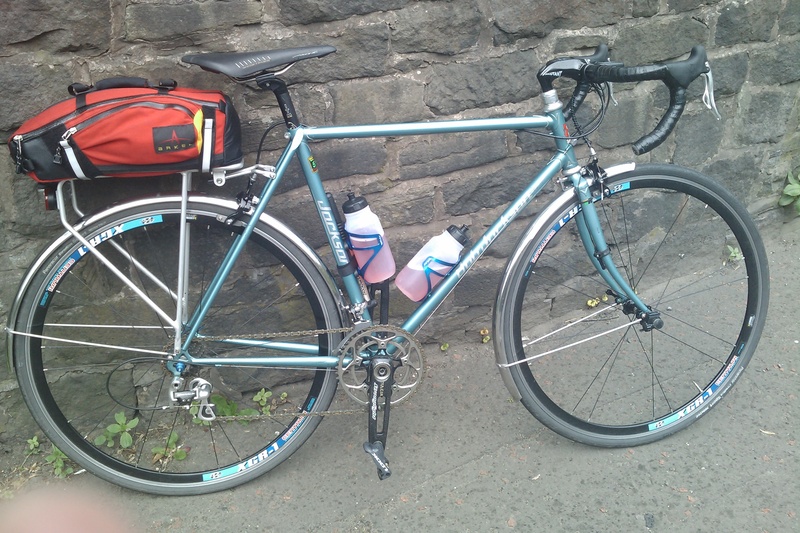 Bob Jackson audax bike (in need of a respray) a with motley and inappropriate array of parts mainly bought for other bikes that are not currently favoured. Kinesis Grand Fondo Scandium: comfortable and smart. Taken in my favourite bus shelter next to Hollingworth Lake. Hard to say: the extra weight will probably slow you down a bit. It handles OK as a solo as long as you don’t forget how long it actually is! What is the black stem you have fitted? Would love to have similar. BTW – I enjoyed the blog. Full of interesting musing on all this cycling.